I am cross-posting the following reflection of Master Paul Xavier from his Catholic Discussion Group blog. Master Paul has been a Squire for several years now and has been doing battle on his blog with his friends, among whom was the Illustrious Marceg. 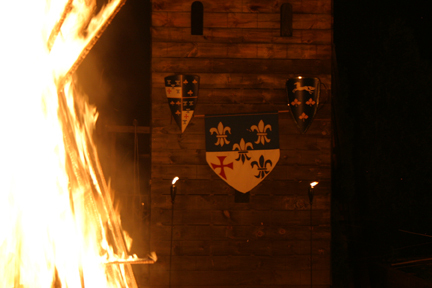 Last weekend, Master Paul was inducted into the Knights of Lepanto. He has graciously consented to allow me to cross-post his extraordinary reflection. (I have included his formatting and imagery). This isn’t going to explore a new branch of Medieval Conspiracy about the Knights Templar, nor is it an exploration of the Code of Courtly Love which predominated European Literature; rather, I am taking this as a step from the obvious and most reconcilable ideas of Knighthood and Chivalry and focusing on something deeper and more profound. Something which historians and experts have barely scratched the surface of, if indeed even opening up this new idea of what essentially is: The Secret of Knighthood. The word Chivalry, and the terminology often associated with it derive from the French word Chevalier, which in translated means a mounted knight. 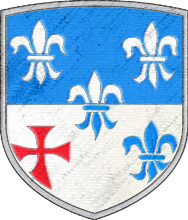 Over time, this word Chevalier became acquainted with the manner and conduct of such mounted knights, who were beckoned by the Church to Defend the Poor, Weak, and Defenseless. Chivalry was a way of life for the upper class in the Medieval past, guiding men along the lines of propriety and social expectation. That is, men who were powerful and had the means to defend, were looked at to defend those who were unable to do so themselves. Hence the entire idea of the Feudal System: A Lord, who through power or ability ruled a certain amount of land, recruited the local populace to work for him and his needs, and in return, would provide military protection of their welfare in time of need. The idea was quite simple and easy to understand, that those who had the ability to defend the weak and defenseless had the obligation of doing so. But alas, human nature is corrupt, and twisted from its true origins by means of original sin. Thus, all that starts off as something good often extends itself to improper and often selfish means. Chivalry became a means to abuse the norms of proper virtue for the sake of personal glory and vice. Generosity was rewarded with the praise and lavish decor of this world; courtesy towards women was often engaged into a means of flattery and deception, its main intention being to entice women to illicit affairs; courage and honor in themselves becoming more and more an arrogant pride, the cause of many wars and suffering for the peoples of Christendom. This being said, we must bring this into question: Is Chivalry Dead? Did it ever truly exist? As an idea, Chivalry seems to have always existed, inspiring the young and spirited to strive for a greater cause above their own self and their standing in life. Essentially, anyone can practice chivalry, or at least attempt to; but as with all things without a proper motivation (in the case of Chivalry, fame, glory, riches, and love were the motivations to do the right things) and guidance of virtue, Chivalry is a sham. What is the necessary remedy to save Chivalry from the corruption of our failing human nature? Is it the practice of good deeds? Championing the rights of the defenseless? Courtesy? All of these things can be abused. Turned from their right purpose, and eventually, become outer coverings of proper thing done for the wrong reasons. For a Knight to attain true perfection, he must work against the concupiscence of human nature which desires the praise of the world. The pride which slowly infects the human soul when it comes to public acknowledgement of his good deeds. The jealousy of another’s good name. The answer to Knighthood’s Perfection is simple: Humility. Humility is the weapon which ever knight should wield when entering into combat with the world. For Humility allows the virtues and the good deeds which are often associated with the chivalry of knighthood to flourish into a something supernaturally beneficial, allowing a knight to gain what is most important rather than focusing on the fleeting praise and laud of this world. The Litany of Humility is one of the most perfect prayers. Why? Essentially, rather than the usual practice of praying for what we want, which is often against what God wants for us, we have a list of human failures due to Original Sin, which we pray to God to help vanquish, and/or overcome. 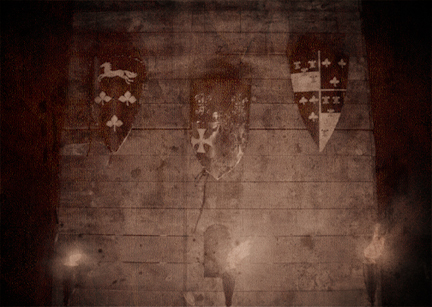 Read the Litany, and tell me, if a Knight truly is able to conquer such things, would he not be the perfect knight? Have we not often seen the beauty of Knighthood tarnished by the cause of a man seeking to be loved, honored, extolled amongst his peers, consulted for his wisdom; who amid the royal court, fears to be humiliated, fears to be rebuked by his lord and his fellow knights, who fears to be forgotten when the lord deals out favors and graces to his servants. Sin contaminates the true essence of the perfection of knighthood. Chivalry is doing the right things, for the right reasons, at the right time. Alas, we often find it that man is compelled into such noble actions, but namely for his own purposes and advancements. What is the solution? How does Humility tie in with Perfect Knighthood? The answer is quite simple, yet so overlooked that we never see it happen. Chivalry is something spiritual as well as secular, and in order to attain the highest rewards and reap the benefits of both natures of Chivalry, the knight must conquer himself. Conquer his passions. Conquer his lower nature which seeks to be consoled, gratified, in the most improper and ridiculous ways. He must learn to silently bow his head, and not take the glory of this world for the sake of the praise and honor he will receive. A true Knight serves the master, not the servant. He knows that God is always watching, rewarding his faithful servants who follow the conduct of Chivalry for more noble purposes. Anyone can do something good for illicit purposes. But if we are able to silence that part of us screaming out for attention from our fellow men. Recognizing the important of only have God as our witness. Then we have attained true knighthood. The selfless charisma of the Knight of Our Lady. Like St. Maximilian, and St. Francis of Old. True knights who did the right things, for the right reasons, regardless of what the world thought of them. Focusing on the importance of conquering self, and realizing the true nature of knighthood as something beautiful, and meritorious of the greatest graces yet to beheld by human hands. The idea of Sacrificial Love, like unto Christ, the Perfect Knight who gave his life in defense of the weak, in defense of the sinner, bringing joy to the sorrowful, courtesy towards his oppressors, humility when His people wished to crown Him as the Son Of David, yet most importantly, having courage in championed combat against the great dragon, Satan. By Master Paul Xavier, cross-posted from Catholic Discussion. 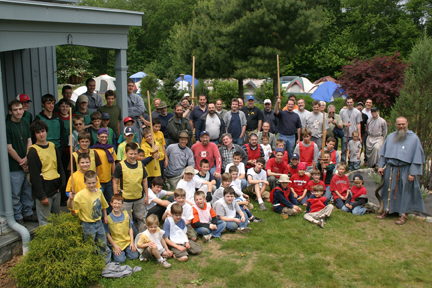 There were eighty-nine Fathers and Sons at the 2009 Spring encampment this past weekend. Thanks to everyone for making it happen and making it both spiritually profitable and fun! Here are the links to a talk I gave to the younger boys and then to one to the older boys, courtesy of AirMaria! (The beginning of the one for the older boys is cut off–sorry.) And take a look at the Roving Reporter’s coverage of the event. We inducted Master Paul Ethier into the fellowship of the nights during the weekend as well as Adam Girard. Significant are the facts that Paul was Marc Girard’s best friend and Adam his brother. Both were invested in the tunic word by Marc shortly before his heroic passing from this world. Congratulations to both of them and welcome to our fellowship. (Video of induction ceremony to follow.) VIDEO ADDED. Concerning Nightwatch: relish the good news! God bless these men. I ask the Knights, Squires and Pages to support their holy work as well. Click on the thumbnails below for a better look. Comments welcome. GRISWOLD — Recoiling from a first-time defeat during the Fall Encampment of last year, the “Attack Team” adults of the Nightwatch Game were completely shut out by the much less experienced and younger “Defenders,” during the Spring Encampment, this Memorial Day weekend. “We were defeated by superior group led by a mastermind,” said Mr. Dietz, the leader of the Attackers, who humbly acknowledged the tight spot in which his group now finds itself. Shortly before the game began at 10:30 pm on Saturday night the Attackers managed to negotiate rule changes they thought would guarantee fairer odds. Instead, what they found was a group of Defenders undaunted by the sudden necessity to adjust strategy. The new “capture the flag” type objective only steeled the Defenders’ resolve to make swift work of the Attackers, which they did. Now shaken by a two-time loss, the Attackers will be under considerable pressure to regain their prestige next time they take the field during the Summer Encampment. And for your viewing privileged, click image follow link to video of Marc’s Knighting.